Our bartending team has joined forces with our friends at Durham Distillery to participate in their Durham 150-inspired cocktail series. 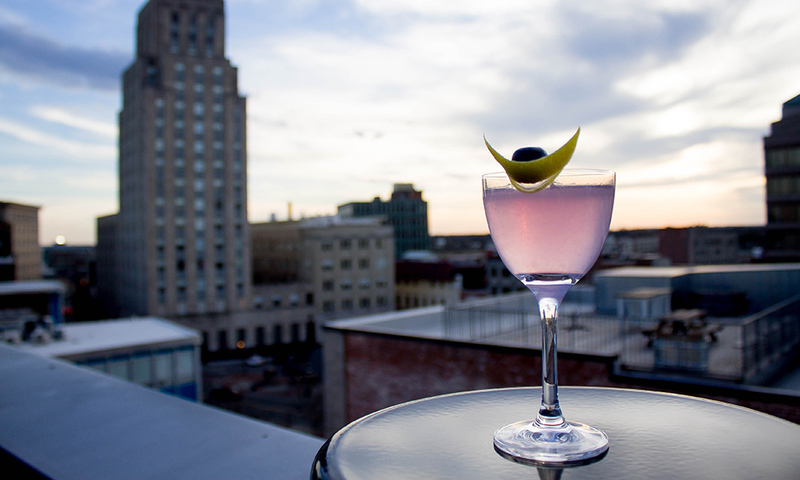 Our cocktail pays homage to the spirit of the Bull City and showcases one of our favorite local products. The Wild Indigo Yonder reflects our city’s history as the site of the first textile mill in the South to produce denim. We’ve used butterfly pea flowers to naturally infuse our Conniption American Dry Gin cocktail with a true indigo flower hue. Combine the infused liqueur and the rest of the ingredients. Shake and serve. Garnish with lemon peel and cherry.